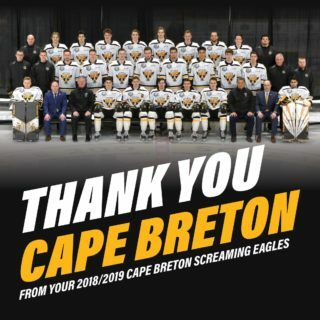 Sydney – The Cape Breton Screaming Eagles traded 19-year-old forward William Carrier (1994-12-20) and 18 year-old defenceman Matthew Donnelly (1995-03-30) to the Drummondville Voltigeurs in exchange for, 18 year-old forward Guillaume Gauthier(1995-09-12), a fifth round draft pick in 2014 and a first round draft pick in 2015 QMJHL Entry Draft. 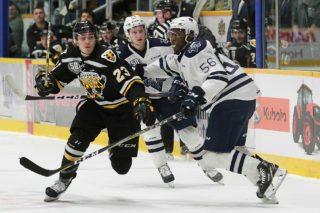 The Screaming Eagles drafted William Carrier in the fourth round of the 2010 QMJHL Entry Draft. In 208 career games, including 8 playoff games with the Screaming Eagles, Carrier recorded 171 points, 66 goals and 105 assists. He was drafted by the St Louis Blues this past summer in the second round of the 2013 NHL Entry Draft. Matt Donnelly was picked up this past summer as a free agent from the Ontario Hockey League. Donnelly played in 18 games with the Screaming Eagles, recording 2 goals, 1 assist and 29 penalty minutes. 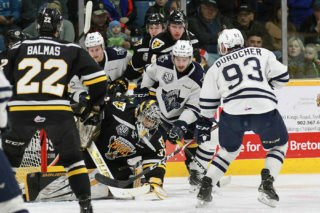 Guillaume Gauthierwas drafted by the Rimouski Oceanic third overall in the 2011 QMJHL Entry Draft and was traded to the Drummondville Voltigeurs in January 2012. 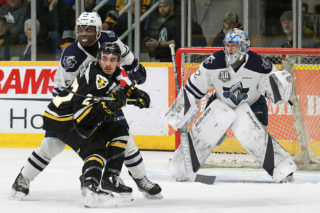 The 5’10”, 175lb native of Ste-Marthe-sur-le-Lac, Quebec has 39 goals and 52 assists, for a total of 91 points in 166 career QMJHL games. In 41 games this season, Gauthier has 12 goals and 26 assists.